After the long week of hectic schedules from hard days work, my 3 friends and I have settled to finally push through our long delayed Mati Beach Adventures last weekend. 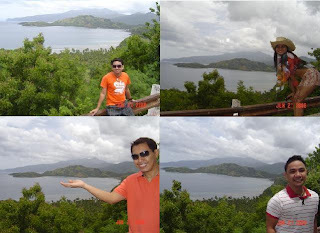 Philip, Wendel, Maricar and I were thrilled about the travel to the City of Mati for it is renowned for its long stretch of white sand and beautiful Beach Bay Resorts. 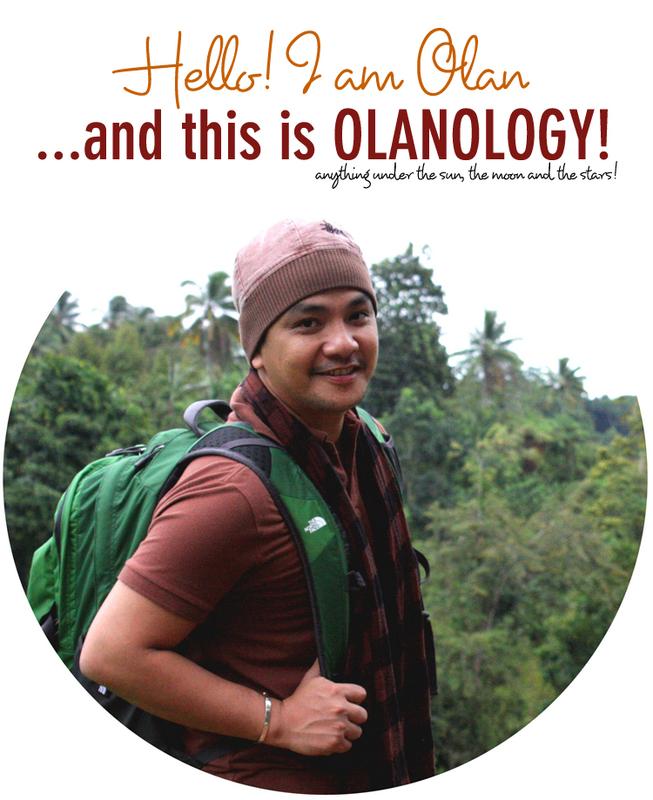 Being a native of Davao Oriental and having gone to Mati for a number of times, I served as the group's tourist guide. The scenic 3 hours car ride courtesy of my buddy Phillip was great. Our first stop was picturesque view of the The Sleeping Dinosaur and serene scenery of Pujada Bay. The Sleeping Dinosaur is one of the key attractions of this new established City. It an island nestled along Pujada Bay that resembles like a submerged sleeping dinosaur. The beauty of such is visibly seen upon passing the 8 kilometer Badas Zigzag Road. The Sleeping Dinosaur is greatly admired. Tourists and alike especially those first timers like my friend Maricar really take time to drop by, take a wonderful view and savor its wonder. Looking from atop, all of us were enthralled by its magic and beauty. Thus, making it a perfect stop for a picture-perfect shoot. Since the four of us are among the snapshot fanatics. We didn’t miss the chance taking a vivid pose with a stunning backdrop view of this gigantic creation. 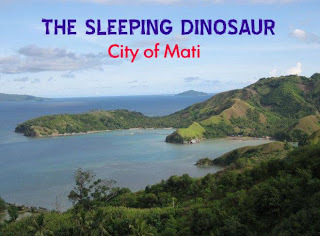 Truly, the Sleeping Dinosaur is Mati’s pride that serves as a primary welcome treat to its excited visitors greeting one a happy and pleasurable trip and adventure! 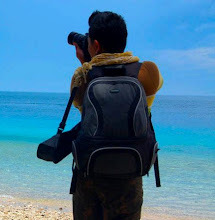 NEXT POST: Masao Beach Resorts, Mati, Davao Oriental! ang ganda ng landscape. the mountain, the sea and the sky complemented each other. ang ganda at nag gwagwapo pa ng mga model. artista bayun? @ ry0 - thanks ryo. a breathtaking view indeed. tnx sa pagbisita. @ the dong - salamat dongskie. yup, parang tagaytay tlga. ang difference lang, hindi cya bulkan. just an island resembling like a sleeping dino. salamat. @ wabdering commuter - salamat sa pagdalaw po. @ vanny - pag nagising ang dino, fly to the rescue kagad si Steven Spielberg at palanguyin papuntang jurassic park si sleeping dino. hahaha. salamat sa dalaw vanny. mushy ka na naman. @ lawstude - yup, this natural landscape is one of a kind. kamangha mangah at pambihira! hahaha. hahaha. sana nga artista ang mga modelo ko dito kaya lang hindi eh... pang PA lang daw. hehehe. nice pics. 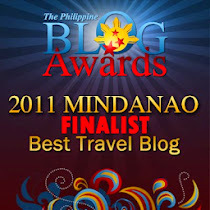 i would like to inquire if you have any contact numbers of the beach resorts in mati? since you said you were a resident there before.. thank you..